Health informatics can play a critical role in supporting local health departments’ (LHDs’) delivery of certain essential public health services and improving evidence base for decision support. However, LHDs’ informatics capacities are below an optimum level. Efforts to build such capacities face ongoing challenges. Moreover, little is known about LHD leaders’ desires for the future of public health informatics. 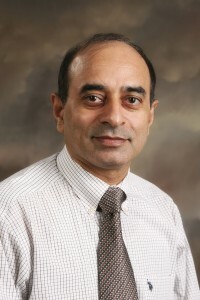 Dr. Gulzar Shah was the principal investigator for this nationwide qualitative study that presents findings from 49 in-depth key informant interviews with public health leaders and informatics professionals from LHDs, representing insights from across the United States. Interviewees were selected on the basis of the size of the population their LHD serves, as well as level of informatics capacity. Interviews were transcribed, verified, and double coded. Major barriers to doing more with informatics included staff capacity and training, financial constraints, dependency on state health agency, and small LHD size/lack of regionalization. When asked about the role of leadership in expanding informatics, interviewees said that leaders could make it a priority through (1) learning more about informatics and (2) creating appropriate budgets for integrated information systems. Local health department leaders said that they desired data that were timely and geographically specific. In addition, LHD leaders said that they desired greater access to clinical data, especially around chronic disease indicators. In conclusion, Local health department leadership desires to have timely or even real-time data. Local health departments have a great potential to benefit from informatics, particularly electronic health records in advancing their administrative practices and service delivery, but financial and human capital represents the largest barrier. Interoperability of public health systems is highly desirable but hardly achievable in the presence of such barriers. “Data, Staff, and Money: Leadership Reflections on the Future of Public Health Informatics,” was recently published in the Journal of Public Health Management and Practice. Dr. Leider, lead author, and co-author, Mr. Casturcci are both with de Beaumon Foundation. Dr. Gulzar Shah, associate dean of research, Dr. Karmen Williams, alumni, Ms. Akrati Gupta, DrPH Student at the Jiann-Ping Hsu College of Public Health were also co-authors.